Pickleball courts with painted lines located in the basketball gym. Balls and paddles provided. Open court play. First come, first serve sign-up lists available for continuous play. Officials not provided. Note: On Monday, Wednesday and Friday 1 court will be taken down at 10AM. On Tuesday and Thursday only 2 courts are set up. 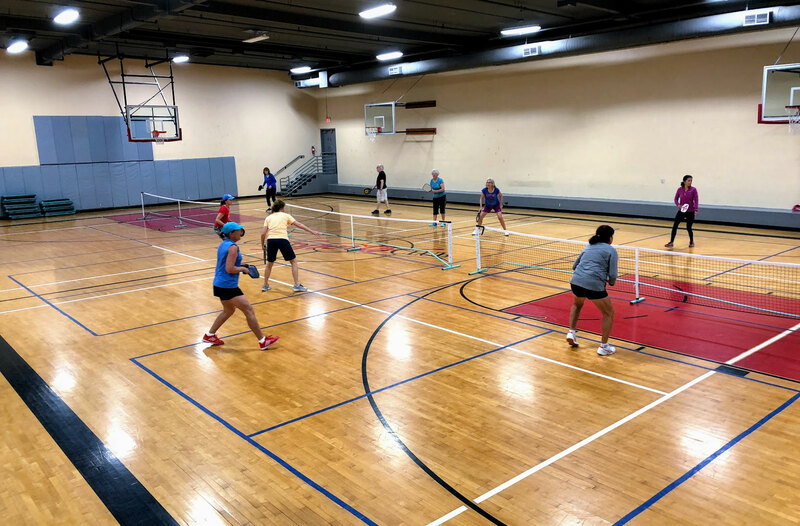 Sign up for our newsletter to hear about upcoming fun events, clinics, local pickleball news and occasional tips to improve your game!